On the 27th of June 2015 MIO-ECSDE participated in the Union for the Mediterranean (UfM) stakeholders conference entitled “Towards a Roadmap for Blue Investment and Jobs in the Mediterranean” held in Athens. The conference brought together some 150 stakeholders involved in marine and maritime issues and provided the opportunity to collect input on key challenges that need to be addressed and the emerging opportunities for investment and jobs creation in the blue economy of the Mediterranean basin. The event was held back-to-back with the UfM Ad Hoc Senior Officials Meeting on Blue Economy, which took place on 28 May in Athens, in order to advance preparations for the related Ministerial Meeting on Blue Growth to be held in the autumn of 2015. One priority issue that was addressed within a dedicated panel discussion was the growing threat of marine litter, which poses significant risks to wildlife and ecosystems, human livelihood and wellbeing. 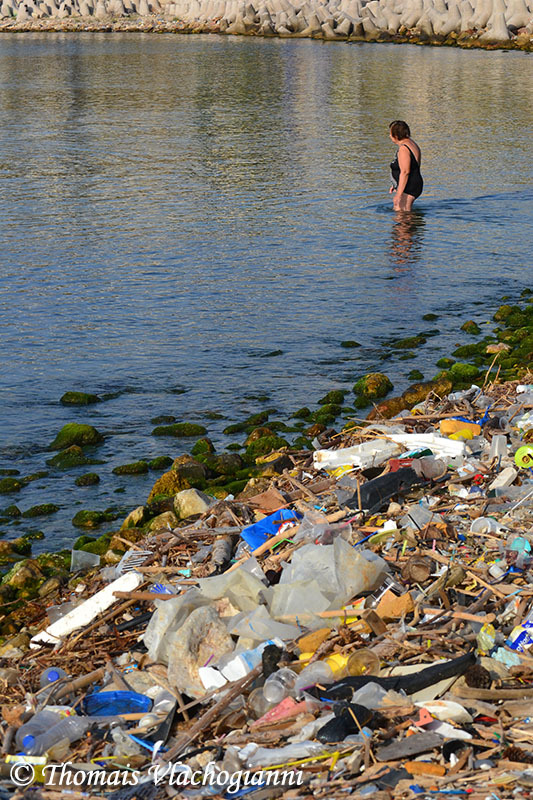 Marine litter is highlighted as an emerging priority under the UfM Declaration on Environment and Climate Change, adopted in May 2014. The event provided the possibility for panelists and audience alike to hone into the many aspects of the marine litter issue, including environmental, technical, investment-related, stakeholder involvement, etc. MIO-ECSDE’s views and perspectives on the issue of marine litter fed into the panel discussion, with a particular emphasis placed on the key hindrances to effectively deal with marine litter and ways to overcome them. MIO-ECSCDE showcased two major initiatives carried out at European Regional Seas and Adriatic Sea level, namely the FP7 MARLISCO project and the IPA Adriatic DeFishGear project and distilled lessons learned at the science-policy-society interface. The event was moderated by Guenter Hoermandinger, Unit on Marine Environment and Water Industry, Directorate-General for Environment, European Commission and Alessandra Sensi, Programme Manager, Water and Environment Division, Secretariat of the Union for the Mediterranean. Tatjana Hema, Programme Officer of UNEP/MAP MEDPOL was the introductory speaker while the panelists were Cristina Fossi, Prof. University of Siena, Italy; Thomais Vlachogianni, Programme Officer of MIO-ECSDE; Carolina Pérez Valverde, Director of the ECNC Group/ EUCC Mediterranean Centre, Spain.